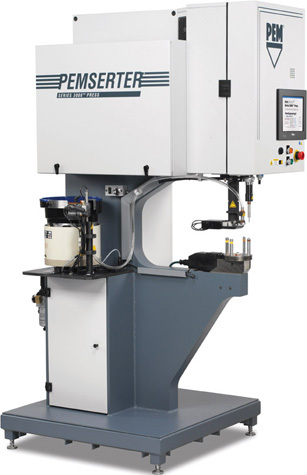 PennEngineering, Danboro, PA, will showcase its Pemserter Series 3000 automatic fastener-installation press, and introduce green technology by equipping the press to perform without hydraulics. The heart of the environmentally friendly press is a custom-built servo-controlled electromechanical actuator. Use the press to install all types of self-clinching fasteners rapidly, accurately and permanently in thin-gauge sheetmetal.